The editor of Second Life Newser, Bixyl Shuftan got his start in online journalism at Second Life Newspaper in late 2007. 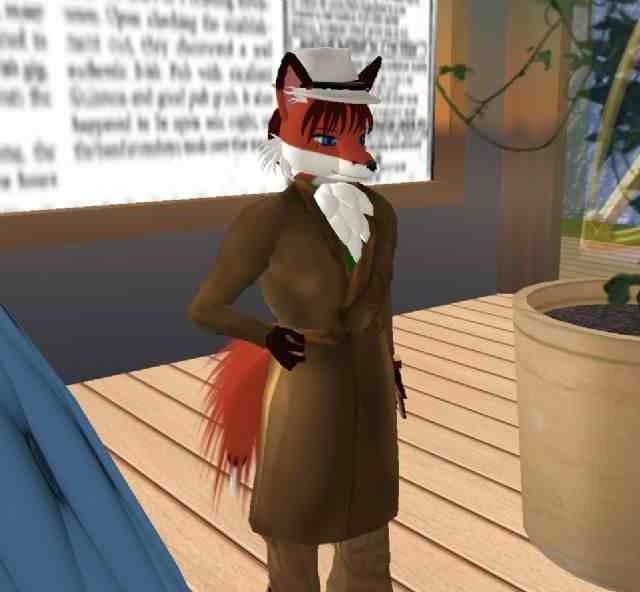 Taking pride in keeping up with the news in real life, keeping his Luskwood fox avatar as his appearance, and his corny sense of humor, "Fox News" soon became the running joke with people he came across. His articles covering just about all kinds of subjects in the Metaverse, as well as doing most of SLN's screenshot cartoons, he eventually rose to the post of manager (click here to read an article about his time there). 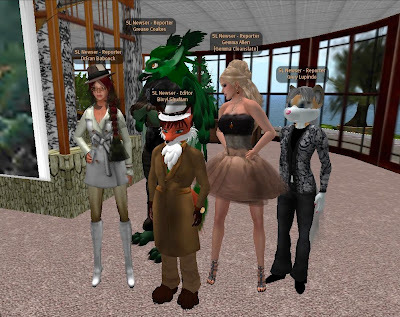 When Second Life Newspaper closed down in June 2010 when the owners left Second Life, Bixyl founded Second Life Newser to continue what he'd been doing most of his time in the virtual world, covering the people, places, and events. Besides the Newser, Bixyl writes occasionally on his "Food on the Table" blog, and has a DeviantArt page. He is also currently working on a science fiction novel, the working title being "The Corsean Encounter." 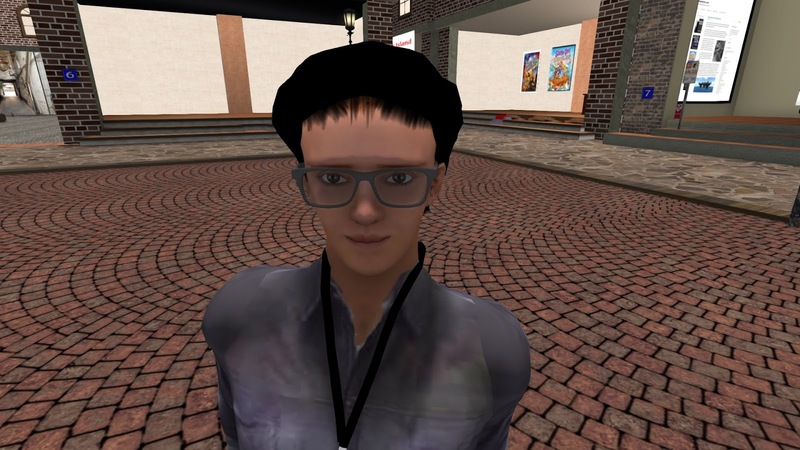 Gemma Cleanslate started in online journalism joining up with Second Life Newspaper in early 2008. Her articles covered a variety of subjects, but in particular liked exploring, writing about the exciting places in the virtual world. 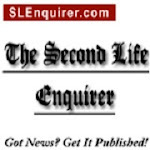 When SLN closed, she joined Second Life Newser. 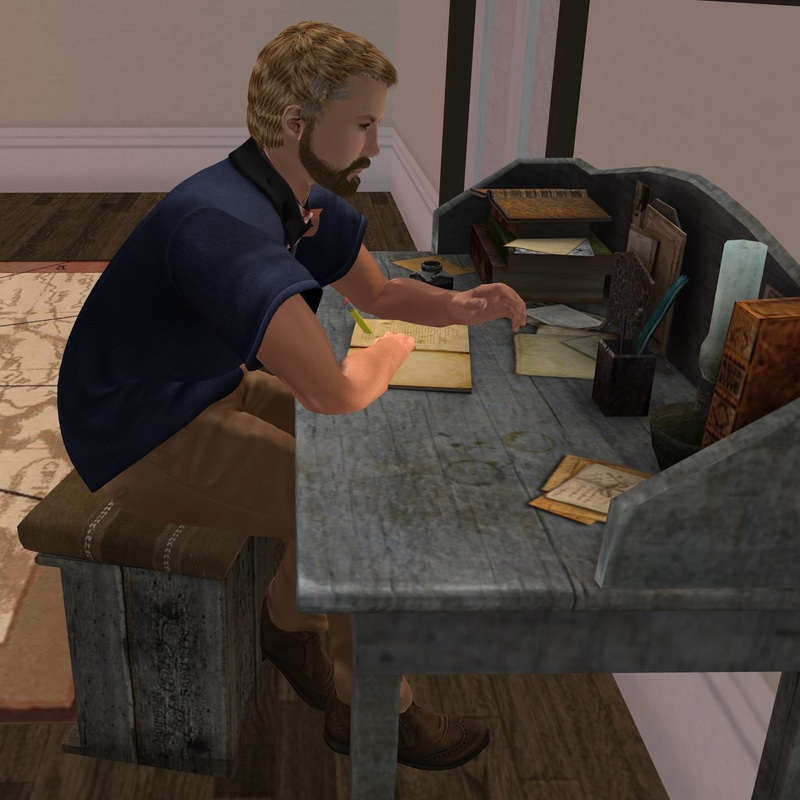 As a reporter for Second Life Newser, Gemma has continued to write a variety of articles. She also volunteers for various activities, such as One Billion Rising, the Relay for Life, the Second Life Birthday, and the Christmas Expo. Deaflegacyhas been eager to prove herself, writing on locations that she hears about that get her attention. She describes herself as a "Fan of One Direction, Dean Koontz, and Stephen King" and when not writing about Second Life is working on a fiction story inspired by "Phantom of the Opera." Klaus Bereznyak describes himself as having "came to SL with a curiosity to learn how humans could collaborate on a blank, three dimensional canvas. He looks for creative ways to document and contribute to the diversity of this world. While he's a writer at his core, in all worlds, he enjoys the opportunities Second Life affords to appreciate and participate in wider fields of creativity such as the visual arts, music, architecture and design." "I love words, and I'll use them as best I can to tell people about all the good stuff that's happening here." Klaus says he has a particular passion for the continents of the SL mainland, "their geography, roads and railways, and the parcels of beautified virtual space where imagination has free reign." He runs a little roadside cafe on Route 1, Heterocera, and curates a vineyard and exhibition space in Sedge. The newest of the Newser reporters, Marcel is an experienced writer, with a variety of interests, "I like to paint and write, prefer strawberries than apples, traveling instead of donuts, coffee is OK but not much. I like writing about education, art, parenting, and children's stories. I have been a writer in real-life since 2009, I wrote some educational books and family blog. 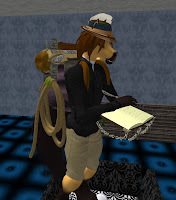 Be a writer in SL since joining The Second Life Newser. Sometimes I write poetry, but only when I want to." 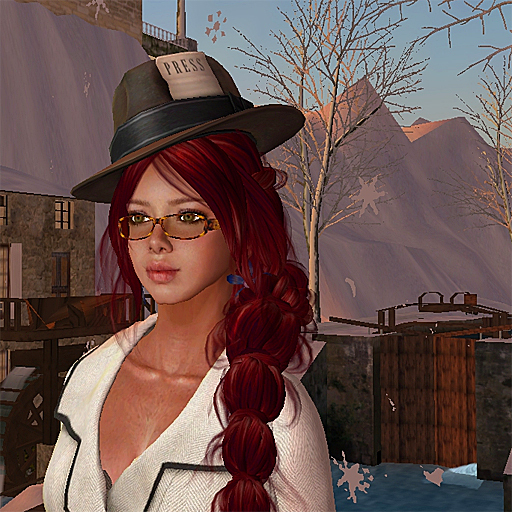 Alura comes to us with a writing background both in Second Life and real lfie. In her early years of her time in the virtual world she was a contributor to an SL Freebie blog. In real-life, she has worked as an editor at a professional journal and on several books. A self-proclaimed "nerd," Alura likes to look for things outside of the box. "I'm proud to be a part of a staff that takes journalism seriously and looks to keep its readers informed of the many things Second Life has to offer them." She spends much of her free time outside of her SL Family looking for the next interesting story. Alura's background in Second Life is extremely eclectic. In her early years she managed venues that hosted live musicians, managed elaborate community sims, dabbled in professional photography and even joined a number of different role-play communities. After an extended break from Second Life, she is back with a new found wonder of all the progress and improvements in the virtual world. "There are so many changes and advances over the years. I think many people in SL get stuck in their ruts and don't know what else is out there. I really want to find things they didn't know about and expose them to something new." Previously known as Theonlyjohnny Resident and currently having the display name of Kimiko Kanagowa, FoxytheJamie describes himself as having improved his writing through time with various roleplaying websites. His articles are mostly around roleplays, social spots, and combat areas. Shaza describes her time in Second Life, "I have a love of the blues and all sorts of good music, I have a family, and lots of good friends, I enjoy fishing, and I enjoy exploring this beautiful world. You pick a country or city you would like to see, I can bet you will find a place in SL that mimics the original. It is a place that never ceases to amaze me even after all these years." 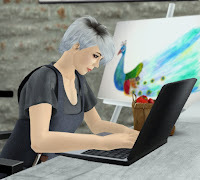 Shaza writes about a variety of subjects, with a focus on fashion,"I have done many things in this wonderful world of Second Life, but I think for the most part my love of fashion has always been a constant here. That and a good day of shopping!" 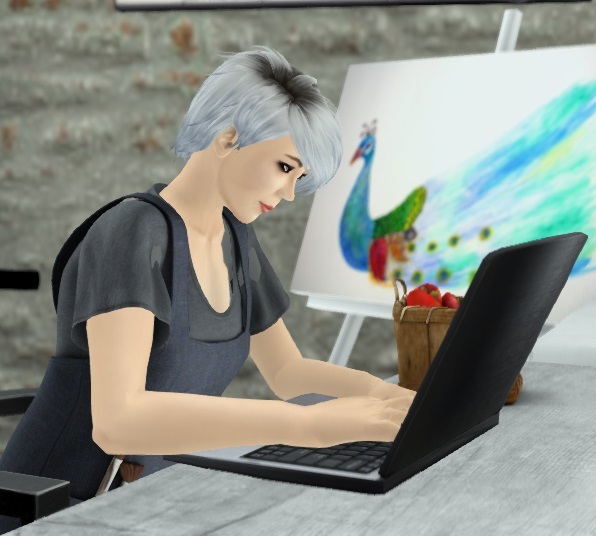 Mylie Foxclaw has written a number of articles about fashion in Second Life. But outfits are not her only subject as her subjects can range from commentaries to creative fiction. She started as a host, before venturing into the SL Fashion Industry as a fashion model for three years. She also tried her hand at building a few mesh items. She enjoys shopping and exploring sims. 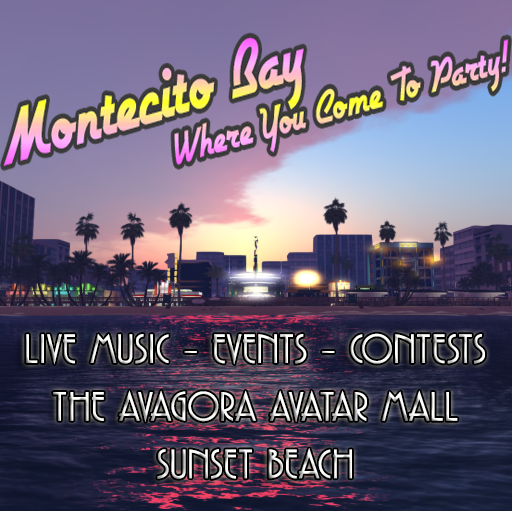 Writing since early 2012, Grease's articles have a focus on the social aspect of Second Life, such as clubs, music, and spiritual growth. But his stories cover a range of topics, from places to avatars. Grease has a fondness for music and the club scene, and can sometimes be found with friends at a club event. His other job is as music DJ. Fritter enjoys exploring the Grid. 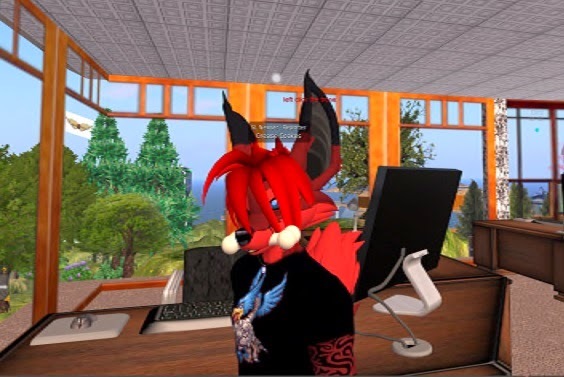 He describes himself as "A furry who likes to explore and find the art and beauty of Second Life, and places open for all to enjoy." He also has a love of music. A longtime resident of the Sunweaver Estates, Nydia got her start as a DJ, then moved into clubs and land management. Always willing to help or offer an open ear, over time she's gotten quite a number of friends, many in her "Angels" group. She sent a number of reader submissions about concerns of Second Life, such as griefers and harassment, as well as reviews about games. Eventually, she joined up with the Newser staff, her articles pre-edited some by her partner Brandi Streusel Tungsten. When not in Second Life or InWorldz, she is often playing a game with one or more of her friends. Grey Lupindo found out about online journalism when she came across one of Second Life Newspaper's reporters in the Second Life 6th Birthday event in 2009. Soon afterward, she joined up with them, wanting to put her writing skills to use. Her articles in particular covered interesting and noteworthy places. 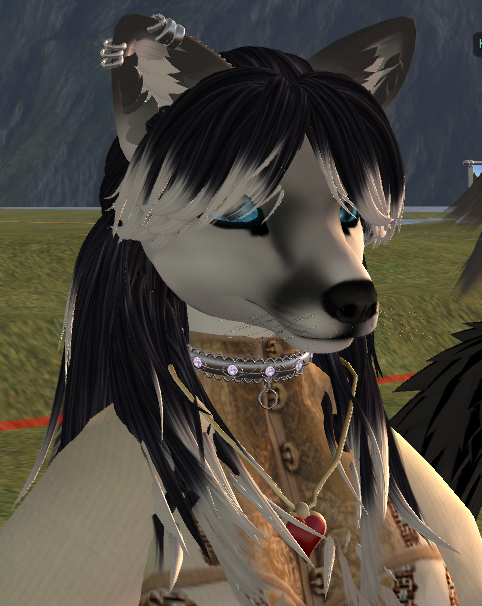 She signed up with Second Life Newser when SLN closed down. Grey Lupindo covered her home of Syzygy when she lived there, writing about the antics of her neighbors. 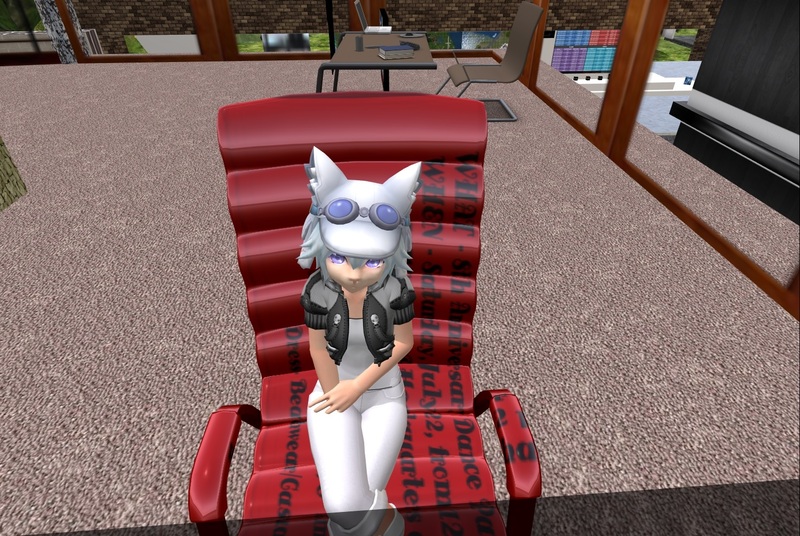 But she's best known for the articles on places in the virtual world she's explored. 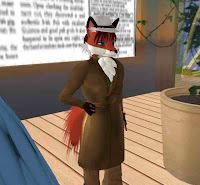 Xymbers signed up with Second Life Newser in early 2011. He's also a fortune teller, his office just a short walking distance from the newspaper in HV Community. Xymbers' articles covered a variety of subjects, sporting an anthro horse appearance when he traveled about, and contributed some cartoons as well. DrFran Babcock started writing for the Metaverse Messenger back in 2006, and stopped writing when the newspaper stopped publishing. During that time she missed writing, and when the opportunity to join SL Newser appeared, she jumped at it. 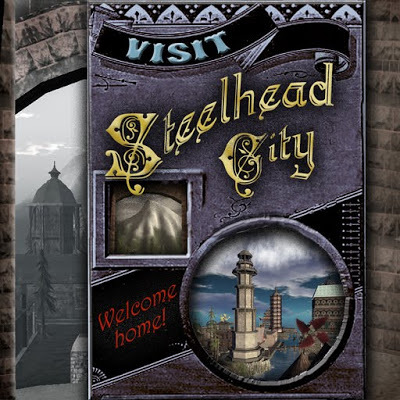 DrFran likes to focus on places that get little publicity—the "hidden gems" of SL, as well as history and stories of old-timers. She is thrilled to be part of the team. More of DrFran's pictures can be seen at her blog: DrFran Does SL. 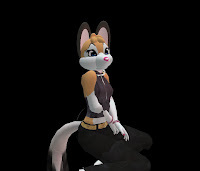 This perky neko made a brief appearance in Second Life Newspaper in late 2009, taking a variety of subjects. This included politics, which most other reporters were reluctant to touch. She left SLN a few months later in early 2010 for personal reasons. But in the summer of 2010, she began sending Reader Submissions to Second Life Newser, and soon signed on with her old teammates once again. Besides Second Life Newspaper, Any1 wrote for CNN. Shellie Sands got her start in online journalism after meeting up with Nazz Lane, joining up with Second Life Newspaper around May 2009. She started out doing music articles, but soon doing other subjects, as well as poetry. 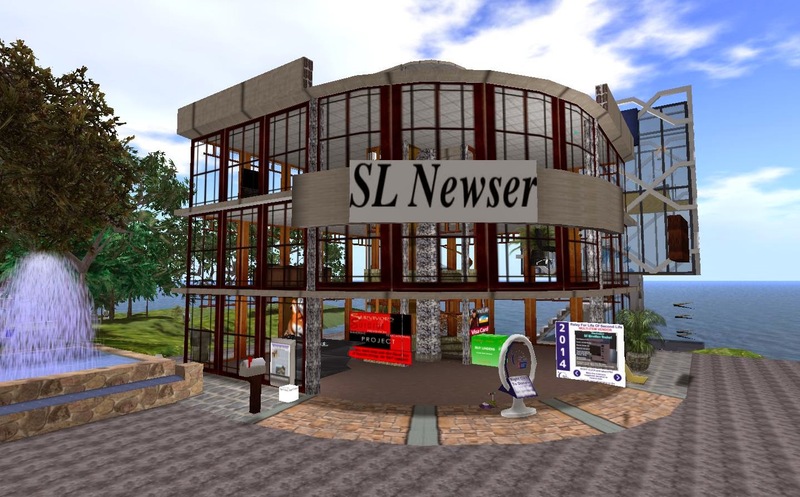 With the close of SLN, she began writing for Second Life Newser. Breezes Babii's stories tend to be on the lighter, more whimsical side of the Grid. She joined Second Life Newspaper though her SL daughter Editor Dana Vanmoer, becoming noted for her "Breezes Thoughts," lighthearted observations of Second Life and it's goings-on. She took a hiatus from writing in early 2010, but after a some time she rejoined with her friends, now in Second Life Newser. Breezes Babii passed away in 2017. Becky Shamen, or "Sha" as she sometimes calls herself, has been in Second Life for a while as a clothing designer, she has been exploring the Grid, and writing about her travels. She lives in the Sunweaver Estates, not far from the SL Newser office building. A real-life resident of Belgium, Wesley's time as a virtual journalist go back to the year 2000 When he first began writing for Cybertown Virtual News in the online world of Cybertown. He did well, eventually becoming the assistant editor. But due to changes made by Cybertown's owners in 2003, he reluctantly have to leave both the world and the newsletter. He came across Second Life in 2006. He wrote for a few papers, including a period at JamesT Juno's SL Newspaper. Following a hiatus, he returned to Second Life, and eventually found out about Second Life Newser, and soon joined up with the team. While not a crew member, our office building certainly deserves a mention. Built by Ranchan Weidman, it is three stories high, with the meeting room at the top floor. 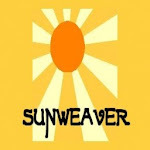 The SL Newser office building is located in HV Community, (140, 85, 25) (formerly Sunweaver Air). We also have a couple smaller locations at Book Island (165, 155, 36) and the ALA. The beginnings of Second Life Newser can be traced to another online newspaper covering Second Life, named appropriately enough Second Life Newspaper. Founded by JamesT Juno and starting up in November 2006, he was soon joined by other writers, notably Dana Vanmoer whom assumed the position of editor and improved the paper, and soon had a thriving media outlet. When the first of us joined up in Autumn 2007, the paper was more or less like it was for the rest of it’s history. James and Dana, especially Dana, did a great job in running the paper. But times change, and bad luck & misfortune can happen to even the best of us. In late 2009 events in real life forced James to leave Second Life, and thus the newspaper. Dana continued on as both the paper’s editor and owner for some months, but real life caught up with her as well. The decision was made to close Second Life Newspaper, leaving only the main section archives up for public view (People was found to be up later). The rest of us talked with one another what to do. The result was a new online newspaper: Second Life Newser. Second Life Newser takes after Second Life Newspaper in many ways. Dana Vanmoer was a great editor, and if the two papers are so similar it’s because we had a good example to follow. We still have news in separate sections. We still do the occasional screenshot cartoon. Second Life Newspaper was our predecessor, but it remains a different, separate newspaper. It remains JamesT Juno’s own. Remember the past, and look to the future. 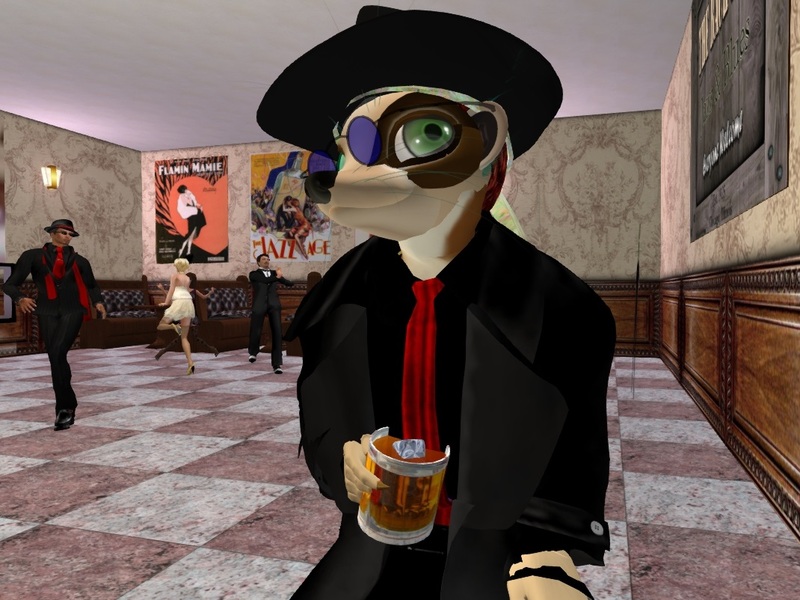 And so, under our new paper, we continue to report the news big and small, the people, places, and events of Second Life, with an occasional peek elsewhere online. It’s what we do, and will continue to do for as long as we can. 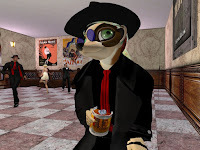 Sadly, Second Life Newspaper's archives are now only accessible through the "Internet Archives." Type in http://15timez.blogspot.com to read the Main and People sections. The rest seem down.